The Worm half mask and Eeyore have a lot in common. They both have a very sad pessimistic outlook on life. Worm always seems to come up with the worse case scenario. He is definitely a glass half empty, leaking and falling off the table type. The Worm half mask is designed to appear blind. 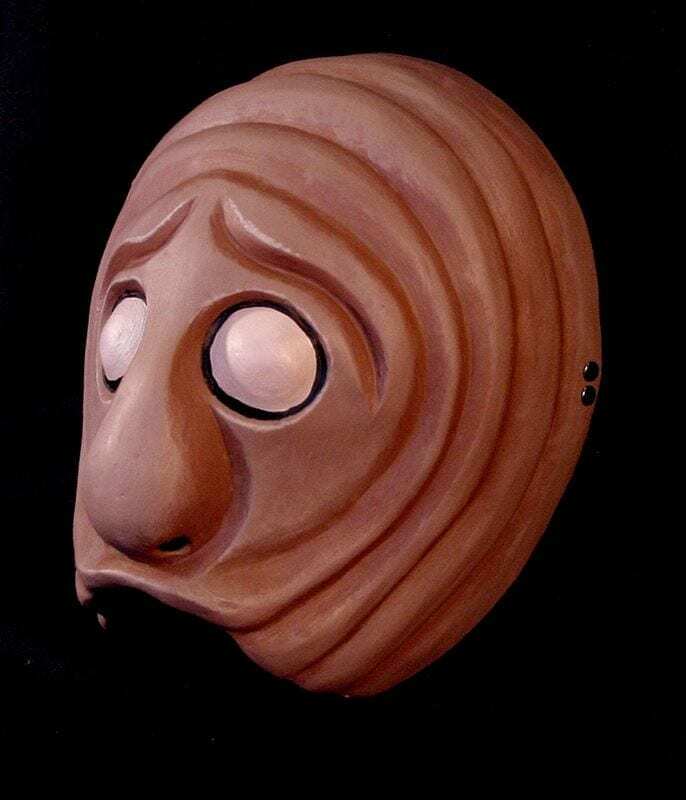 The actor sees through the mask at slits created in the painted black lines around the mask. Grass Hopper: Oh this is all my fault. Earthworm: Hey don’t take all the credit.